“UFC Fight Night 21” took place inside the Bojangles Coliseum in Charlotte, North Carolina on Wednesday evening. 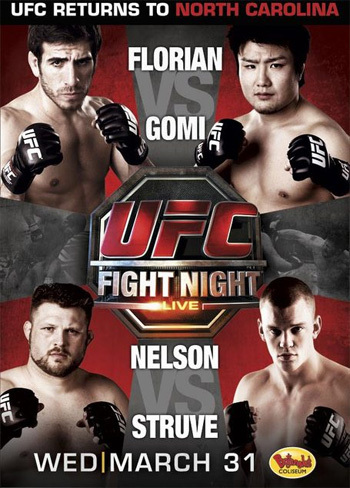 Japanese import Takanori Gomi looks to revive his illustrious career against former lightweight top contender Kenny Florian in the evening’s featured bout. In addition, a heavyweight clash will be showcased on the card. Roy Nelson, last season’s winner of “The Ultimate Fighter: Heavyweights” tournament, faces the up-and-coming Stefan Struve.